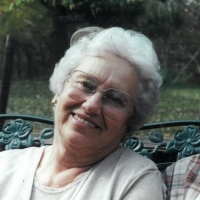 Mrs. Glennie Hardison Kenner age 90 of Sharon Grove, KY passed away Tuesday April 9, 2019 1:30 a.m. at Hearthstone Place in Elkton, KY of natural causes. Services will be Friday April 12, 2019 1:00 p.m. at Latham Funeral Home in Elkton, KY. Burial will follow in the Gant Cemetery in Sharon Grove, KY. Visitation will be Thursday April 11, 2019 from 5:00 to 7:00 p.m. at Latham Funeral Home. Mrs. Kenner was born in Todd County September 19, 1928 the daughter of the late John Miller Hardison and Annie Blankenship Hardison. She retired from the Todd County Board of Education where she was a custodian of North Todd Elementary School. She had been a member of Mt Sharon United Methodist Church until it closed then she became a member of Pleasant Hill United Methodist Church. Besides her parents she is preceded in death by her husband Clayton Cedric Kenner in 2007. She is survived by her son Michael Kenner and his wife Deanna of Clarksville, TN, her daughter Debbie Jordan of Sharon Grove, KY, her brother Paul Hardison of Greenville, KY and her sister Lennie Davis of South Bend, IN. 4 Grandchildren and 4 Great Grandchildren. In lieu of flowers donations may be made to Gideons International Elkton Camp P.O. Box 4 Elkton, KY 42220.